WPQREK - Things that I made! : i2c-tiny-usb PCB board adapted to the thermal hobby manufacture method. i2c-tiny-usb PCB board adapted to the thermal hobby manufacture method. Ok! So lets start my blog. My name is Adrian Kurek and I am big fan of the electronics and robotics. This is my first post so Please Welcome! Some time ago I decided to build i2c-tinu-usb adapter. I would like to make PCB using thermal method. The board was to complicated for this. 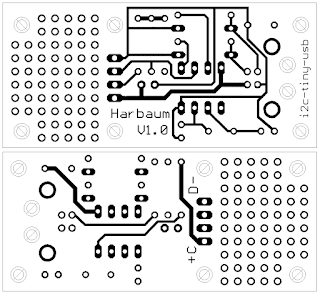 I modified the PCB layout and here are the results of my work. How the thermal method works in general? You need to print PCB mirrored image using gloss paper and laser printer. Put hot iron upside down. Put PCB laminate on hot surface copper upside. Put print on copper surface toner downside. Use cloth to press the print and move toner layer to the PCB. Cool down the PCB. Don't remove print jet! Put everything to the worm water with detergent. Wait a couple of minutes. Slowly remove paper from PCB. That's it! 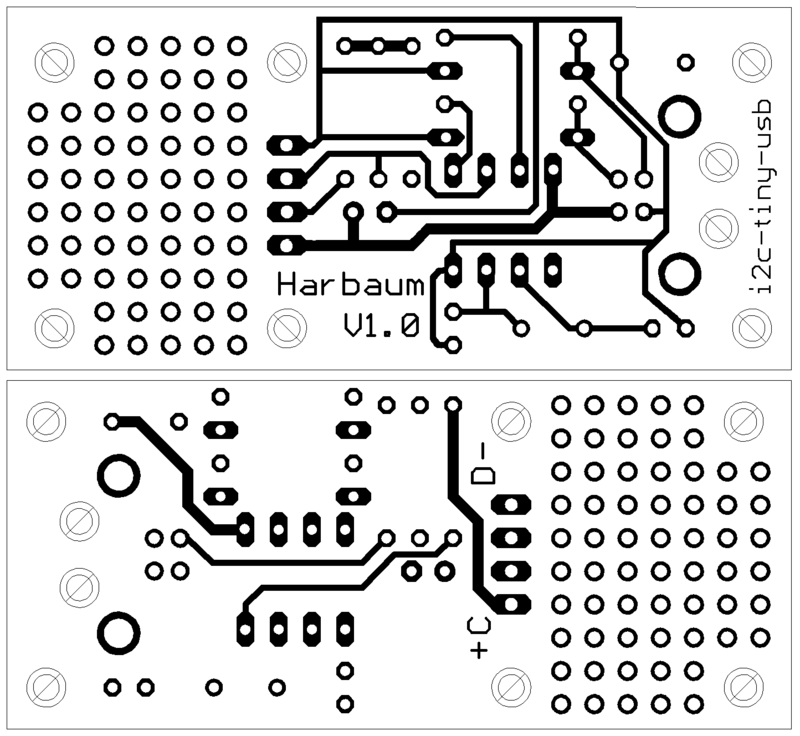 PCB layout is ready. Since you can create one layer PCB only using this method you need to create two PCB with one layer and then glue it. Board is fully assembled now. I am now in process of triggering it. I build LPT logic analyzer to get more information about running device. My C64 use 12V DC (battery) power source now. A logic analyzer using the PC's parallel port. Christmas Star Ornament made using Arduino and WS2812b Strips. Top Secret game project using Arduino and Hackvision. 3D Printed eggbot clone to make Christmas ornaments.